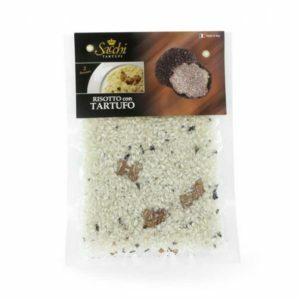 Rice with truffle pearls, Risotto with truffle (vacuum packed), Black Venus Rice with black winter truffle, Polenta with truffle pearls. The strength of these dishes is the equilibrium of ingredients. 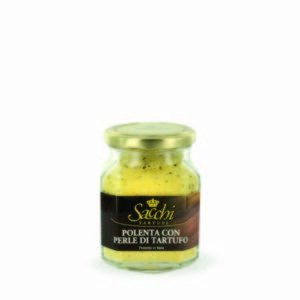 intense flavors and delicate fragrance. 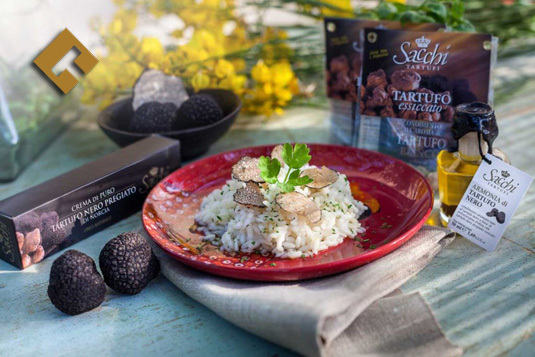 Sacchi Tartufi pays special attention to the quality of polenta and rice for risotto to ensure that the classic Italian cuisine staples are enhanced by the richness of truffles.